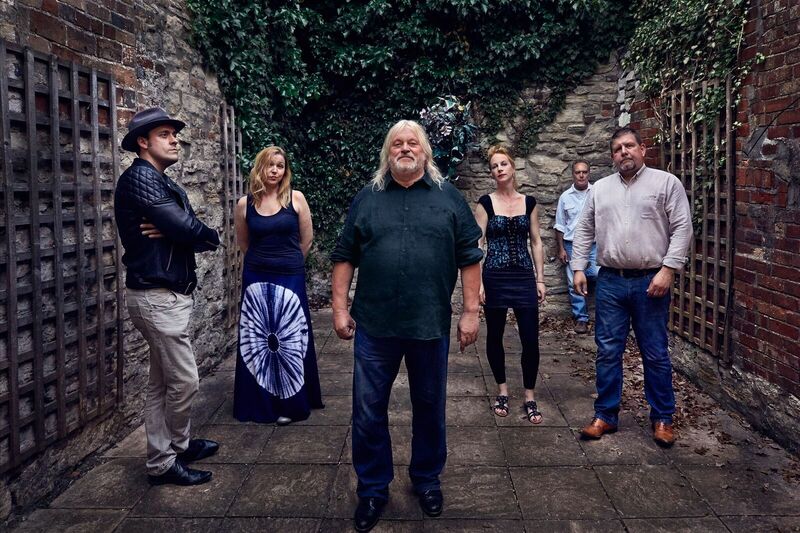 Phil Beer, best known for his multi-instrumental wizardry as one half of England’s top acoustic / roots duo Show of Hands, is also touring with his own band, The Phil Beer Band. Described by The Guardian as ‘where Steve Earle and Richard Thompson collide’ an evening with The Phil Beer Band is fast, frenetic, ‘feel-good’ and leavened with a good helping of humour. Phil is one of the most popular ambassadors for acoustic roots music. A dazzling instrumentalist, he is a top flight fiddler and plays in the all-star line-up, Feast of Fiddles. But his skills don’t stop there, he also plays slide, Spanish and tenor guitar, mandocello, viola, mandolin and South American cuatro, not to mention contributing rich vocals. The Phil Beer Band has been through numerous line-ups over the years. It evolved organically in the early to mid 90s at Maisemore in Gloucestershire. Originally a loose federation consisting of Phil Beer (Show of Hands) Nick Quarmby and Steve Crickett, all of whom lived close to each other, and melodeon player Gareth Turner from Northamptonshire. There was a need in the community for a band to play local events and ceilidhs and, following in the tradition set by the Albion Band (of which both Gareth and Phil were former members) the band always interspersed the dances with the odd song. Over a long period of time, it has evolved into a ‘Folk n Roll’ band with country rock overtones. Basically it is the vehicle for Phil to return to the electric guitar and to have a good time with his mates..